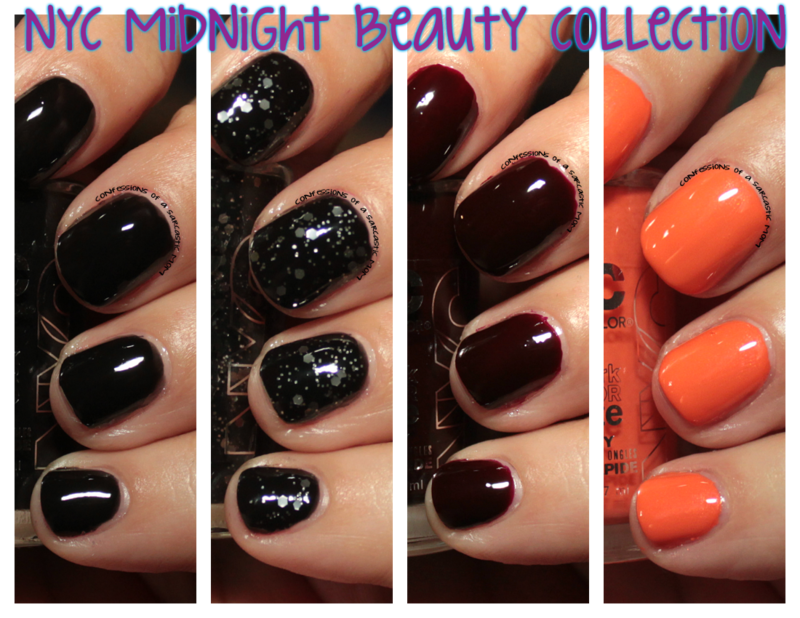 Time to get in the Halloween Spirit with the NYC Midnight Beauty Collection! 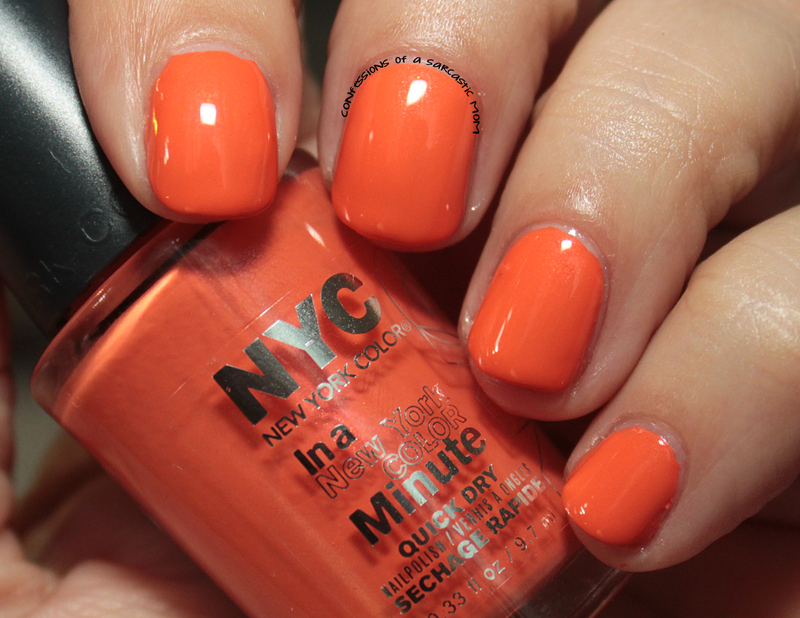 These four polishes are sure to please everyone in the mood for some Halloween! Aaaaaand y'all are going to be surprised at which is my favorite polish from this collection! Moving on to I Am Not affRed, which by the way is one of the cheesiest polish names in recent memory. It's a deep, super deep vampy sanguine red. Almost brown. Kinda what I envision as the color of dried blood. It's crellyish. And lastly, Animal Instinct, a coral-leaning orange. The formula on this one was on the thick side, and it was sort of hard to maneuver around the nail. Once on and set it was gorgeous tho. Do you see any of these colors you like? You can get these, in their own display wherever NYC is sold - I usually find mine at KMart and Rite Aid. These are in a special display, apart from the "core" display.